Hey there cryptoheads, its that time of the week again where we check in with you, let you know about some of the news that’s been going down so far this week, our take on it, and why cryptocurrency remains probably the most interesting development in cybertechnology to happen over the last 7 or 8 years. And boy, has this week been a doozy. If you’re feeling a bit of overload in the cryptosphere, don’t worry, so are we. Between bitcoin’s meteoric rise, a never-ending continuum of record-shattering ICOs, and huge price swings in altcoins that make the stock market look like child’s play, it might feel like there’s too much to keep track of. At this point, trying to cover everything happening in the blockchain space is like trying to cover everything that is happening on the internet. But that’s why we at Coin Clarity are here: to cut through the bull and deliver you what you need to know the most to keep your portfolio in the green. Bitcoin Only Up 6% This Week? What Gives? The price of BTC seems to be consolidating near the $16,500 point, meaning that its been having a tough time staying above $17,000 but doesn’t want to sink below $16,000. This means that bigtime investors see bitcoin as a “bargain” at sub-$16k levels, but that its going to require a new “catalyst” to propel it above $17k. What are the forces keeping bitcoin in this range (for the moment)? Pros: Bitcoin is being re-branded as the new “digital gold.” What does this mean? While you might not be able to pay for a cup of coffee using bitcoin or gold, they are both stores of value, and will seemingly always have some use as a savings-type utility. Much like gold, its simply not practical to pay for things worth, say less than $20, given than an average transaction fee could run anywhere between $4 and $7. Paying an extra $7 for something that costs $20 means you are shelling out a steep premium of 35%. However, if you pay $7 for something that costs $1,000, now the premium is down to a measly 0.7%. Cons: In addition to facing ever-increasing federal scrutiny, soon bitcoin futures and ETF markets will allow major players to bet against bitcoin, meaning that the price of BTC could come down in a hurry, if the “powers that be” see it fit to make it do so. Also, realistically – bubble or no – bitcoin is simply overdue for a long awaited price correction. This will be a snowball effect in the decline of price, as speculators who bought in somewhere between $1,000 and $10,000 decide that a top has been reached, triggering a sell-off as those that see the correction happening also decide to sell in order to lock in profits. Ethereum (ETH): The grand-daddy of all altcoins, up 45%, moving from $482 to an all-time high of $709.88, before slightly falling to $702.50. Ripple (XRP): This bank-centric novel crypto, which has been around for relatively quite a while, saw an astonishing 350%, moving from $0.22 to $0.86. Even though it remains far below its all-time high in terms of the price of BTC, it is currently sitting at a firmly-entrenched all-time high in terms of USD. Litecoin (LTC): Up 80%, moving from $156 to $280, also reaching its all-time high during the middle of the week of $320.91 on December 12th. Dashcoin (DASH): Up 30%, moving from $739 to $932, also reaching an all-time high of $945 on December 14th. Bitcoin Cash (BCH): Also up 30%, moving from $1449 to $1871, also reaching an all-time high of $1970 on December 14th. Now that Wall Street has caught on to crypto, perhaps we are seeing cryptocurrency-centric companies buying up huge amounts of other cryptos, probably on a largely speculative basis, but also for achieving the main goal of making extraordinary profits. And indeed, there are now more bitcoin billionaire companies in the world than ever before. The trend is likely to continue as blockchain-related startups are already cashing in huge profits thanks to wise investment moves made just months earlier. 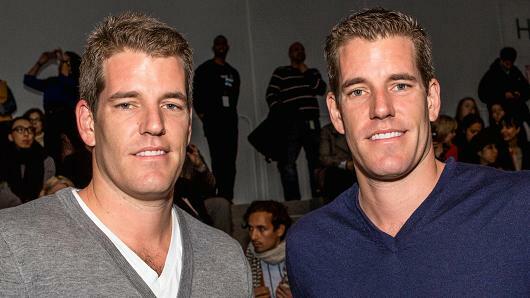 The distinction of the first two (not counting Satoshi Nakamoto) belongs to the eccentric Winklevoss Twins (best known as the suers of Facebook), who bought up huge amounts of bitcoin in hopes of launching a US stock market-based bitcoin ETF, which was ultimately rejected by the SEC. This left the Winklevii with an extraordinary stash of bitcoin which fortuitously earned them the honors of becoming the first bitcoin billionaire individuals. The online version of the long-running British tabloid, The Sun, published a piece on the origins of the mystery of Satoshi Nakamoto. While the same story could have been written 4 years ago, Mr. Nakamoto, if he even exists – or has access to the private keys behind his huge bitcoin stash – would now be one of the world’s wealthiest men. 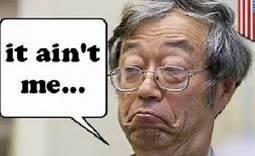 If Satoshi “solo mined” the majority of bitcoins since the “genesis block” (the first bitcoin block ever mined) in January 2009 until there was a significant increase in hash rate nearly 1 year later, that would make him the owner of an estimated 1,000,000 bitcoins. At $16 grand a coin, that would mean he is sitting on a $16 billion dollar fortune (if he even exists at all). Poor Dorian Satoshi Nakamoto… This is not the Satoshi you’re looking for. Despite claims from certain individuals that they are Satoshi, the bitcoin Core team has stated that there is no definitive, cryptographic proof that anybody is Satoshi Nakamoto. This means that it is likely that he is either deceased or else that he lost the private keys to his bitcoin wallet – a bungle embarrassing enough to make anyone want to remain anonymous. Hive Blockchain announced plans for major expansions in operations in Sweden, hoping to raise $100 million to be listed on the Swedish stock market after their Canadian market listing was abruptly halted by the Canadian equivalent of the SEC, the IIROC. Forbes magazine published a piece outlining 4 real-world use-case scenarios for bitcoin, in an attempt to draw in remaining cryptocurrency skeptic hold-outs, explaining why not just bitcoin but cryptocurrency and blockchain technology in general is the wave of the future, which is sure to encourage even more investors to plunk cash into the crypto-space, due to their massive readership and well-regarded reputation. The same British tabloid referenced earlier, The Sun, published 3 pieces on cryptocurrency all on the same day, probably under the realization that their audience wants to know more about this magical investment known as bitcoin, which has the power to not only transform the way finance is conducted on a global scale, but also provide investors with potentially extraordinary profits. The first of the 3 articles explains the art of “cryptojacking,” offering readers suggestions on how to best secure their coins and prevent them from hacking-induced theft. The second explains to readers very clearly what cryptocurrency is and how to go about obtaining some, even if you are a common ignoramus of the entirety of the industry. The Sun also now considers themselves worthy of providing technical analysis advice on cryptocurrency price movement, in spite of the fact that traditionally, the majority of their stories are celebrity gossip clickbait fodder. Regardless, like Forbes, the publication is influential in that it has a massive readership, and this will likely spur additional investors to take their first steps to becoming cryptocurrency investors.